Black Hill Quarry has now come to the end of its functional life, although it remains under quarry regulations and will be closed to the public for safety reasons for the foreseeable future. On-site quarrying stopped several years ago and until recently, the site had still been processing sand and gravel from nearby quarries. This activity has also now ceased. 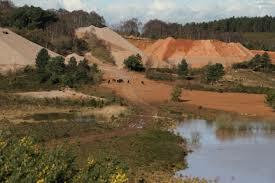 Black Hill Quarry covers 64 hectares and has been operational for many decades. Under its planning permission, the site will be now returned to heathland. It lies adjacent to the core area of the East Devon Pebblebed Heaths. Although the surrounding heathland is designated as a Site of Special Scientific Interest, a Special Area of Conservation and a Special Protection Area, Black Hill Quarry does not have the same statutory designations, although it is a County Wildlife Site. Significant work still needs to be undertaken before habitat restoration at the site is complete. Aggregate Industries (the quarry operator), helped by the RSPB, has been doing a fantastic job on the restoration scheme, with the company’s work at this site highly commended at the Mineral Product Association’s Biodiversity Awards in 2017. It may still be many years before the site is open to the public, but excellent progress has been made, and once completed the wildlife-rich site, complete with water features, will complement the existing heathland and be an amazing new recreation area for local people and visitors to explore and enjoy. Although the life of the quarry itself is complete, Blackhill Engineering, a separate business, will remain operational at the same location. Blackhill Engineering, produce high quality heavy engineering for the UK Civil Engineering Industry along with the MOD and also supplies a range of fascinating heavy engineering products to the USA, Australia, New Zealand, Norway and Africa. They employ over 30 skilled people a figure which is set to more than double with new plans. They are developing four engineering apprentices and deliver an amazing amount for the local economy. A great business we are happy to support and one which wishes to work in harmony with the precious natural environment of the Pebblebed Heaths, within which it sits. The facilities of Blackhill Engineering are immediately adjacent to the quarry processing plant. Specialising in steel fabrication and design, Blackhill Engineering has recently been involved in many prestigious projects including the design of flood defence gates for New York City Hospital, work for the European Space Agency and the pier at Hinkley Point. The innovative design and engineering company, which also produces specialist off-road wheeled and tracked vehicles for the MOD and civilian customers, was awarded the Queen’s Award for Enterprise in the International Trade category for its outstanding contribution in 2017. The nature of the business of Blackhill Engineering and its wide range of unique fabricated products, has meant that the existing site is constraining the ability to operate efficiently and optimise the highly skilled workforce and the specialist equipment to meet the needs of UK and overseas customers. With the quarry closing, a planning development proposal has been submitted by the landowner Clinton Devon Estates to allow Blackhill Engineering, a significant local employer and contributor to the local economy, to establish new specialist facilities within the site formerly occupied by the processing facilities of the quarry. This covers about 1.5 hectares. 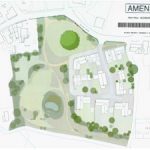 The focus of this proposal is only on the pre-existing developed concrete areas where the quarry buildings once stood, and does not involve any encroachment onto heathland or pre-existing wildlife habitat. As with all planning proposals the merits of expanding Blackhill Engineering will be judged by the planning authorities who will be looking at issues such as impact of any new buildings on the landscape. The site proposed is currently covered in concrete and any restoration to high quality habitat will be problematic therefore mitigation proposals that might secure significantly more wildlife benefits for the surrounding heathland are being discussed. PreviousLympstone History Society Booklets in print. NextVillage of the Year, Lympstone on the telly!